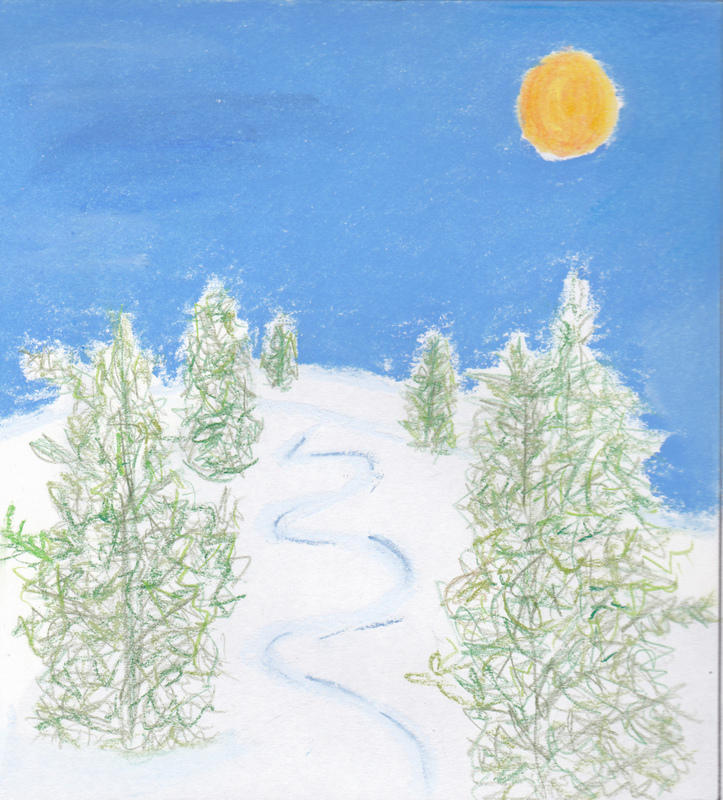 This idea is inspired by my week snowboarding at Mammoth Mountain, California. In this game players snowboard through steep terrain with deep snow. Players learn the joy of waiting for a bluebird sky powder day and the quest to find good terrain. Any, but very suitable to the Wii Balance board. Snowboarding games concentrate too much on tricks and freestyle competitions. This game captures the essence of freeride snowboarding: where you search for steep terrain with deep snow. Players will be exposed to beautiful scenery and will have to concentrate more on navigation than tricks. Gameplay is about navigating (similar to driving games) and pushing buttons in order as they are shown. The player must avoid obstacles on the runs such as skiers, other snowboarders, trees, poles and more. If playing with a balance board the player must use their weight distribution to control the direction the snowboard goes and use a Wii-remote to press buttons for special actions. If playing using a controller, the player uses the controller by using left and right buttons or sticks, but must press buttons at particular times to execute turns properly. Players receive points for avoiding obstacles and for the speed they complete each run. The player starts on green (easy) runs and works their way up to double black diamond (expert) runs. Each level is a based on real-world mountain and is composed of a number of runs available at the mountain. The player begins a level with a simple groomed run and learns a new technique, e.g. turning quickly, turning in moguls, carving turns and so on. If the player falls, they must get up (possibly digging themselves out of powder) and regain their balance before continuing. Cloudy days reduce visibility, \ which increases the difficultly in avoiding obstacles. The snow conditions depend on the day, so that there can be icy runs or ones with powder. The game captures the thrill of racing down a mountain through trees on a bluebird powder day. The visual scenes the player will be exposed to will immerse the player in a stunningly beautiful world. The game is fast paced: each run only takes a couple of minutes for the player to complete. This means that players can compete against each other in competitions like a party game.